The goal of every IVF journey is to succeed in having one healthy baby. Everyone’s’ IVF journey is a unique and different experience. What happens in the IVF laboratory is very important and requires the embryologist to collect as much information as possible about your embryos in order to select the best embryos for your Embryo transfer and freezing. Herewith a detailed explanation as to what happens in the laboratory from D 0 up till Day 6. The egg retrieval day is what the embryologists call Day 0. Egg retrieval is performed using transvaginal ultrasound guide in a theatre under sedation by your doctor. Screening and collection of the oocytes is performed by the embryologist. At this time the retrieved eggs are counted and assessed for maturity/quality. The sperm that will be used to inseminate the eggs is received from your partner in the morning and washed (processed) to make it ready for insemination. Should the sperm that you wish to use be frozen, the straws or vials containing the sperm will also be thawed and processed in the same way. Our laboratory predominantly performs Intracytoplasmic Sperm Injection (ICSI). This is a procedure where the sperm is injected individually into a mature egg. This procedure requires a high powered microscope and micromanipulation skills using specialised needles by the embryologist. The ICSI procedure is performed at least 3 to 6 hours after the eggs have been aspirated. The eggs are individually assessed to make sure that they are at the right maturity stage for the ICSI procedure to take place. Only mature eggs can be injected with sperm since immature eggs will not fertilise. After ICSI the oocytes are placed in a specially designed culture medium covered with oil, that contains proteins, amino acids and enzymes that mimic the fluid in the fallopian tubes needed for embryo development. Should you have requested to have your eggs grown in our time-lapse Incubator, they will be placed in the Embryoscope(c). The injected eggs are evaluated for fertilisation. This process takes place 16 – 20 hours after ICSI.The presence of 2 pronuclei (two discs) inside the egg – one from the egg and one from the sperm- indicates normal fertilisation and the fertilised eggs are called zygotes. At times, the embryologist may not see the presence of pronuclei in the eggs and that does not always mean that the egg has not fertilised. After fertilisation check, the dish containing the eggs is placed back into the incubator. The fertilised eggs start to divide in to cells and become embryos. 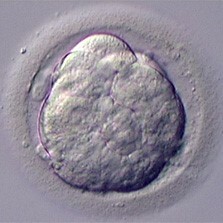 Most of the embryos will have between 2 to 4 cells. Embryologists are very protective over the growing embryos and will not expose them to temperature variations as this may have an effect on embryo development. You will not receive an update on Day 2 as the embryologists do not perform embryo evaluations on this day. 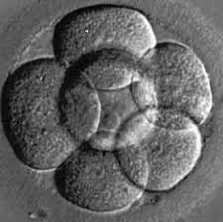 Embryos at this stage have developed further and vary from 6 cells, 8 cells, Multicell embryos and compacting embryos. 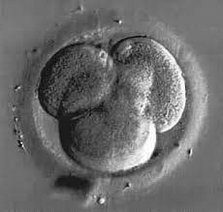 On this day the Embryologist will transfer the divided embryos into a new petri dish with media supporting further development of the embryo. The embryos are graded and images of them captured for further evaluation. – A confirmation time of when your embryo transfer will take place on Day5. Our laboratory performs more Day 5 than Day 3 embryotransfers. A day 3 embryo transfer would depend on the number and quality of the embryos that you have. 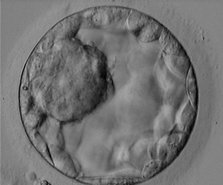 No evaluation of embryos occurs at the Morula stage because the embryos resemble a cell mass that has no distinct features that are easy to grade. This stage is the transition between the cleavage stage embryo and a blastocyst on day 5. You will not receive an update on Day 4 as the embryologists do not perform embryo evaluations on this day. The Inner cell Mass (ICM) which is the foetal component and the trophectoderm cells (TE ) which is the placental component. The embryos are loaded by the embryologist into a catheter and transferred into the uterine cavity by the doctor. The remaining good quality blastocysts are frozen. Should your cycle be a freeze all cycle where no Embryo transfer takes place, grading of the embryos will be performed by the Embryologists and the best quality embryos will be frozen. 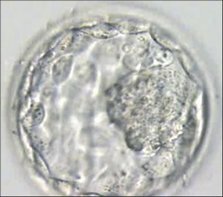 Any remaining viable embryos that are not fully developed are cultured further for possible freezing on Day 6. Images of the embryos are taken on Day 5 as well and sent to your doctor for discussion before the embryo transfer. Once you and your doctor have discussed the embryo results and agreed to how many embryos are for transfer, the Embryologist will select the best embryo/s . The embryo transfer procedure does not require any anaesthesia. The remaining embryos are assessed and graded and the suitable embryos will be frozen. The laboratory will only freeze good quality blastocysts as the lower grade embryos will give a poor success rate at thawing. 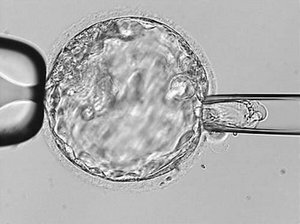 Should your IVF process be for genetic testing, the embryos will be cultured until day 5 and day 6 where they will be assessed to see if they have formed a blastocyst. To perform genetic testing, several cells from the trophectoderm layer are extracted. This procedure is called embryo biopsy. The extracted cells are sent to a genetics lab for analysis. Should you be having a fresh embryo transfer, the biopsy will be performed on day 5 and the cells sent away for testing immediately so as to get the results on time for a day 6 embryo transfer. 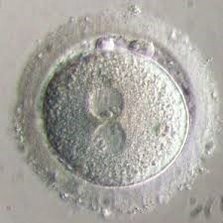 Most cases susbsequently have a freeze all cycle where all the biopsied embryos are frozen. After the results are received a few days later, you will have the normal embryo/s thawed and transferred. Every clinic has a different system that they use to grade embryos. We have an adapted grading system that you may request should you wish to study what the grades of your blastocyst mean. I’m happy with people like you sharing such experiences among the people as well as creating awareness about IVF and inspiring others.I can relate those Lab days as my wife had an IVF treatment a year ago and been through those Lab sessions and we are blessed with a baby boy.Thanks for sharing and inspiring.